The Cornwallis Close Defence Battery was armed with two Mark VII 6 Inch BL Guns on Mark II Centre Pivot Mountings. As the Battery was at sea level, the Magazines were of the above ground type. Two 3°CASLs were provided for illuminating targets. 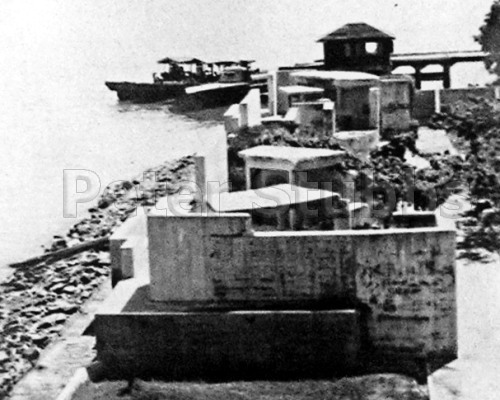 The Battery was not spiked when Penang was abandoned in face of the Japanese advance in December 1941. The Japanese took the Battery intact. 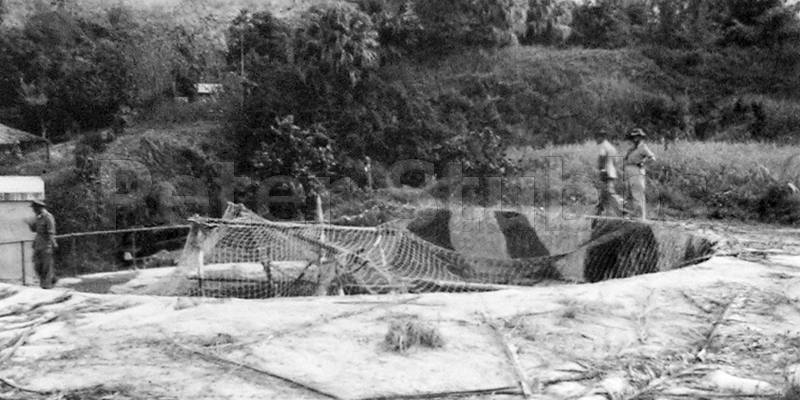 They later moved one of the guns to Tanjong Pak Pajoh on the south coast of Penang, and the other to Auchry, where it was mounted in the No.2 9·2-Inch Emplacement. To the right of the B.O.P. is the 1882 Lighthouse, and to the right of that can be seen the walls of fort Cornwallis. Today, nothing remains of the Cornwallis Battery. The location of Cornwallis on Google Earth. Batu Maung was armed with two Mark 24 6 Inch BL Guns on Mark 5 Mountings. The same as at the Sphinx Battery on Pulau Tekong. As the guns could elevate more than the Mark VII, it had a greater range, 24,500 yards (22,403 metres) compared to the 14,100 yards (12,893 metres) of Cornwallis. This meant that it was classed as a Counter-Bombardment Battery rather than close Defence. Sphinx Battery in Singapore was the only 6 Inch Counter Bombardment Battery there. The remaining 6 Inch Guns were all close Defence. There were plans to add a third Mark 24 6 Inch Gun to the Batu Maung Battery, but the war intervened. 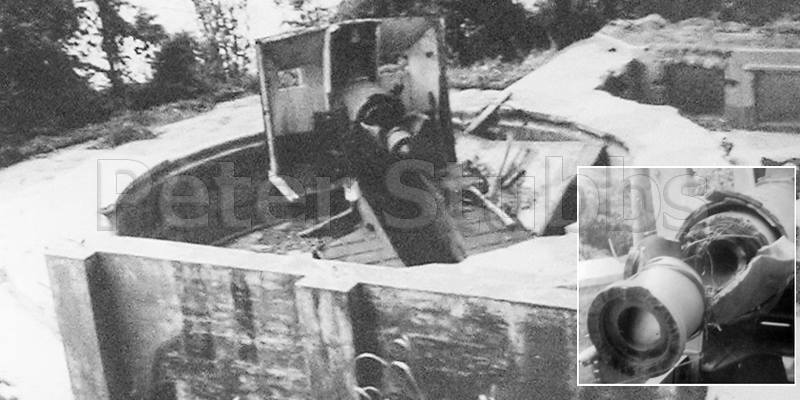 The Batu Maung guns were successfully spiked in December 1941, but little damage was caused to other elements of the Battery. It was reported in 1946 that, “This battery was little damaged and depredations have been few”. The B.O.P., Plotting Room, engine room and CASLs were undamaged. Substantial remains of the Battery exist, and it forms the Penang War Museum. Batu Maung on Google Earth. Auchry No.1 Emplacement in 1946. I believe that there may still be remains of the Battery buried in Auchry Camp.